The wonderfully witty Yvette Nicole Brown doesn't hold back during her first appearance on 'Larry King Now,' opening up about the potential for a 'Community' movie, her next big move in Hollywood, and why she's struggling to accept a Trump White House. What scares Yvette Nicole Brown most about President Trump? 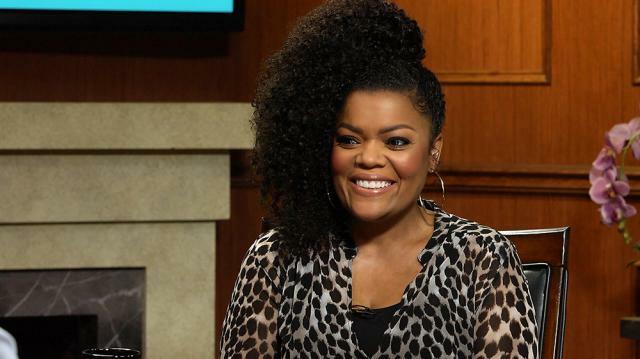 Yvette Nicole Brown on 'Community': "We have to make a movie"
Comedic actress Yvette Nicole Brown, who currently stars on the CBS sitcom “The Odd Couple”, joins Larry King in the studio. Brown tells Larry about her experience working with her co-stars Thomas Lennon and Matthew Perry, especially as a Friends super fan. Then, Brown and Larry move on to her upcoming role in the BET mini-series “The New Edition Story,” and her role as Shirley Bivins, the mother of a super star. Later, the “Community” alum addresses her status on a cult sitcom, and how it’s changed her life. Yvette Nicole Brown discusses the show’s popularity, and whether or not fans can expect to see a movie revival down the pipeline. Finally, Larry and the outspoken actress talk politics, and what Brown expects from a Trump presidency. They end on a personal note, with Brown revealing what she looks for in a guy, and her love for young children.